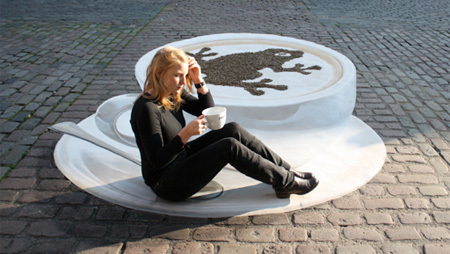 Today, many artists have made their names in creating 3D street art and some of their works are nothing short of amazing. I just came across a nice little collection of art over at Toxel ((Toxel – Street Art)), and I think that these will make your day. Who wouldn’t want to spend a day enjoying the sand without having to go far? 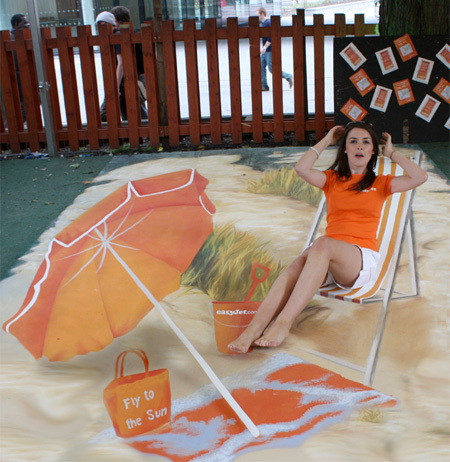 That 3D street art above may look like the real thing, but we know better, don’t we? Feel like having a picnic? You can have one in the middle of the street. Well, at least a pretend one. Do you love animals but are too jittery to actually to hang around them? With this painting, you can have a photo op of a lifetime! I love this photo with the little boy enjoying himself like nothing else. 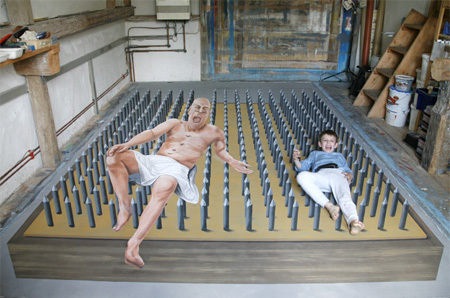 Nail boards are nothing to laugh at for real, but this piece of art can give you a lot of fun. Coffee, anyone? I think that with a cup this size, even the sleepiest of sleepyheads will have enough energy to get him through an entire week without much sleep. This is my favorite of the lot. 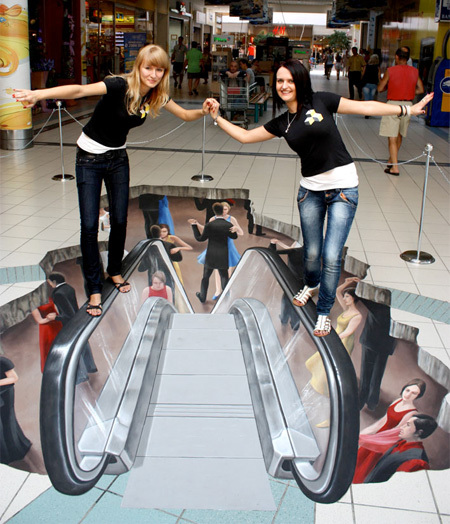 The perspective is so awesome that it really does look as if the two women are balancing themselves precariously on the escalator belts. 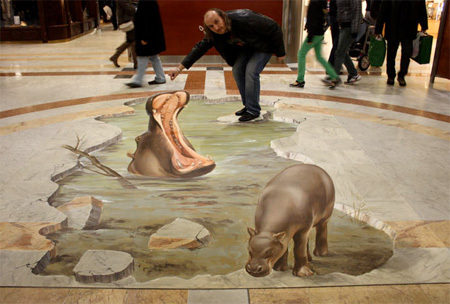 What are some of your favorite 3D street art pieces?